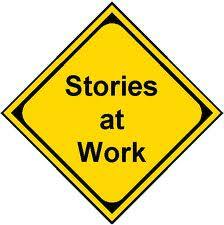 Stories are important to the job search, but how many are necessary? I have a hard time remembering my brothers’ birthdays, so you can imagine how difficult it would be for me to remember the specifics of my customers’ occupations and goals for employment. I need to know more than: software engineer in the defense industry, or nurse in pediatrics, or physics teacher in high school with a dual license in middle school. I need a story, and not just any story, from my customers. A story that shows accomplishments and highlights numerous skills. Employers feel the same way; they’re going to remember you best if you tell them compelling stories. You may wonder how many stories you’ll need in your arsenal to succeed at an interview. How many stories are enough? Katharine Hansen in her blog titled, Create a Memory in Job Interviews By Telling Stories, talks about the importance of telling stories to help the employer remember you. Katharine continues to explain that preparing for an interview will probably require more than three stories. She refers to both Ellyn Enisman, author of Job Interview Skills 101, and Richard Bolles, What Color is Your Parachute, of the importance of the number seven—the magical number of stories a person needs to succeed at any interview. Really, how many stories are enough? Katharine pushes the envelope, saying that 10-20 would be a better range of stories to tell, but then recants and says that the number seven is more realistic. I agree that the goal of 10-15 stories is a bit demanding. I encourage my customers to identify in a job ad the most important competencies for the position and write a story for each one. If there are eight competencies, develop eight stories. But this, I believe, is also pushing the envelope. Stories tell more than one story. One wonderful thing about stories is that often they reveal more skills in the candidate than the interviewer originally asks for. For example, the interviewer asks you a question based on leading global teams. You tell a story that reveals not only leadership skills, but also problem solving, time management, and communication skills…with positive quantified results. The story is told with such conviction and confidence that it covers potentially four questions. How to prepare your stories. There are many acronyms you can use to organize your stories. One I present to my customers is (STAR) situation/task (their task in the situation), actions, result/s. There are also (PAR) problem, actions, result/s; (CAR), challenge, actions, result/s (OAR) opportunity, action, results, etc. Regardless of which structure you use to tell your story, try to structure it the following way: 20% for the situation/task; 60% for the actions, and 20% for the results. Employers will be most interested in the actions you took to arrive at the result/s, so make sure you describe your role in the situation. What if….It’s also important that you not only prepare success stories; you also prepare stories that address failures. These types of stories contain the same elements: the situation/task, the action you took to meet the situation, and the result; which in this case is mildly negative. You’ll also keep the “failure” questions short and sweet; don’t elaborate as you would with the success stories. It’s advisable to prepare a failure story for each competency. When you do the math, you may double the number of stories from seven or eight to fourteen or sixteen. What you’ve read is a lot to stomach. The important thing to keep in mind is that stories when told well are powerful and memorable. Once you have written your stories based on the competencies required by the employer, most of the hard work is accomplished. The next step is telling your stories at the interview. This entry was posted in Career Search, Interviewing and tagged behavioral interviews, interviewing, Katharine Hansen, STAR, Story telling on April 22, 2013 by Things Career Related. Great point about a story telling more than one story. Yes, it’s true that one story will work in multiple situations and in response to multiple interview questions. When I conduct the Three Stories exercise in workshops, I tell participants they may need to do a bit a mental juggling to make a story fit a question they are asked. Also good point about failure stories, although I would frame those a bit differently — stories that started out negatively but had a good result because of the job-seeker’s actions and efforts. In fact, it’s best if most stories follow that formula because so many behavior-base questions lend themselves to describing a problematic situation. Yes, yes, I totally agree that ALL stories must follow the STAR formula, not just the success stories. I love a story that originally starts by answering a negative question but turns into a positive, e.g., a bad customer interaction that turns into a customer for life.